College students have always been natural-born marketers. Among their friends, they toss off more winners and losers than a race course tout. But increasingly, they’re touting for dollars, as Claire Ballentine’s piece noted the other day in the New York Times. 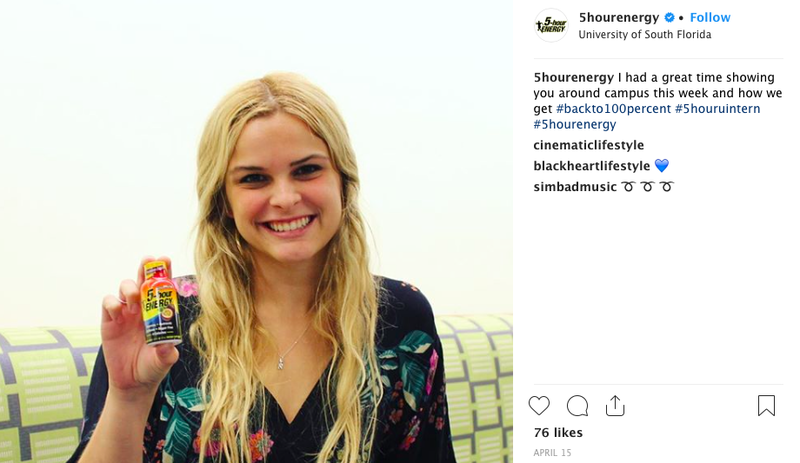 Noah Lamfers, a senior at the University of Northern Iowa, had never tried a 5-Hour Energy drink. But he still signed up to promote the brand online, getting paid to post images of himself and bottles of the product on his personal Facebook, Instagram and Snapchat accounts. He tagged each one with #5houruintern. Elizabeth Gabriel, a recent graduate of the University of Texas, posted a photo on Instagram of herself relaxing in her last year with a glass of wine and gazing at the latest Samsung tablet. It was one of 12 similar photos she posted for AT&T over 12 weeks. Her payment: a Samsung Galaxy smart watch and an Apple TV. 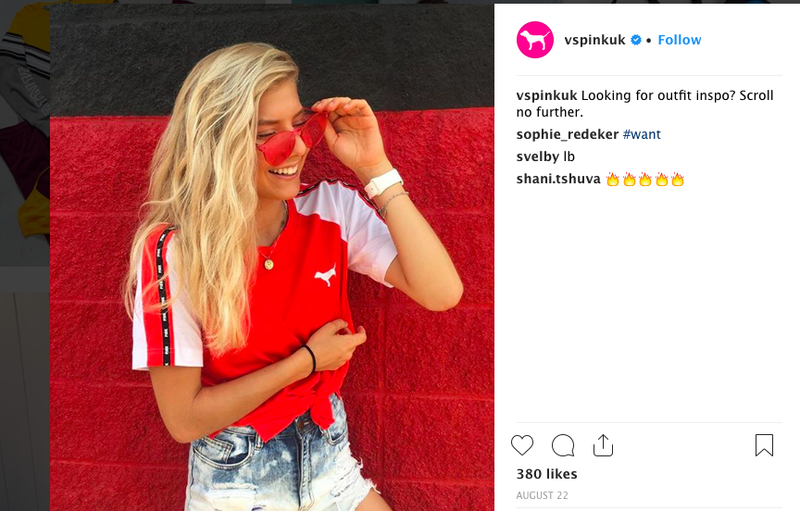 Alana Clark, a 21-year-old senior at Virginia Tech, is one of more than 200 college students across the country using their Instagram accounts to promote Victoria’s Secret Pink sportswear and undergarments. She also hands out free underwear on the quad. 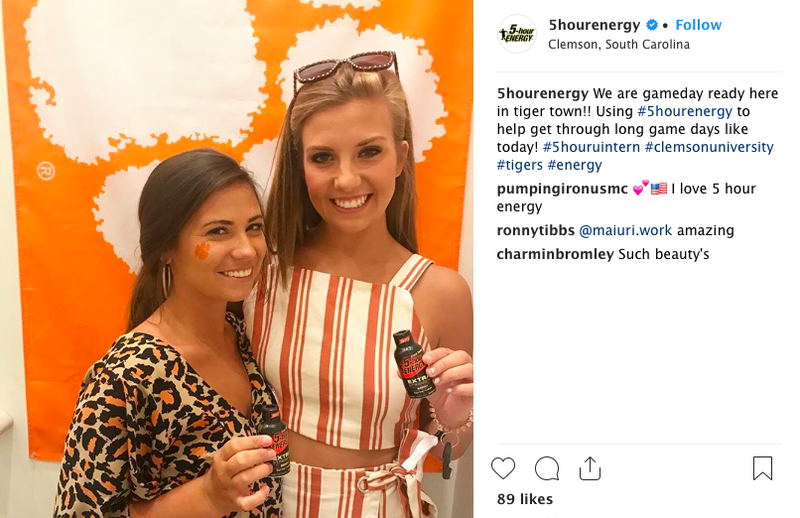 • Riddle & Bloom, a marketing agency specializing in building “meaningful relationships with millennial and Gen Z consumers,” employs students from more than 500 schools in all 50 states, according to its website. • On the Victoria’s Secret website, you can search for the names of its representatives at 100 campuses, in schools from Columbia University to Grand Valley State University. 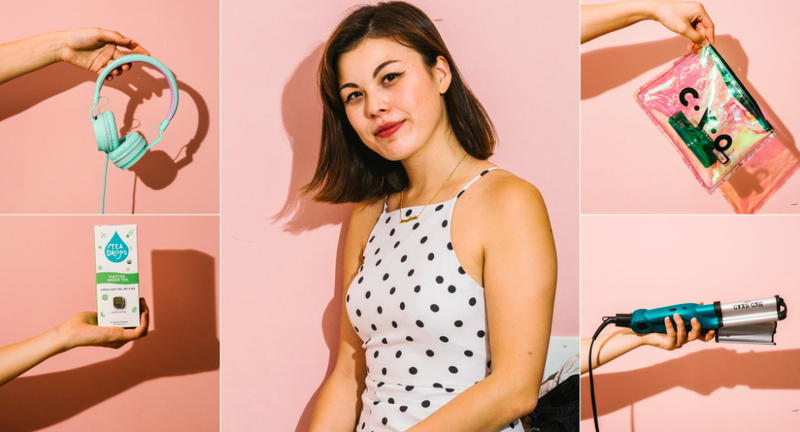 • At Virginia Tech, as many as 1,000 of the 30,000 undergrads are being paid to promote products as varied as mascara and storage bins, according to an estimate by Donna Wertalik, director of marketing for the university’s Pamplin College of Business. In the 26th paragraph of the Times piece, the reader learns this. Under Federal Trade Commission rules, people using their personal social media accounts to advertise products are supposed to disclose on their accounts the brands they represent. For instance, Ms. Gabriel tags AT&T in her posts while also including the hashtags #sponsored, #ad and #att. Check the other links in the Times piece and very few of them comply with FTC guidelines. The hardtracking staff doesn’t have empirical data on disclosure rates, but we’re guessing FTC guideline compliance is roughly equivalent to New York Yankees catcher Gary Sanchez’s current batting average. That’s because those FTC guidelines have gone over like the metric system. And no surprise there – the idea that the federal government can regulate marketing on social media is an absolute fantasy. So fasten your seat belts, folks. It’s going to be a pumpy ride. This entry was posted in Uncategorized and tagged 5-Hour Energy, Alana Clark, Apple TV, AT&T, Claire Ballentine, Donna Wertalik, Elizabeth Gabriel, Federal Trade Commission, Gary Sanchez, gone over like the metric system, New York Times, New York Yankees, Noah Lamfers, Pamplin College of Business, Riddle & Bloom, Samsung Galaxy, Sneak ADtack, Victoria's Secret Pink, Virginia Tech. Bookmark the permalink.